Palers' Party: and you are invited! 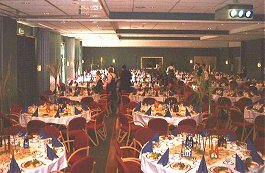 This party will take place at our Base Camp Hotel, Quality Kristiansand Hotel, on Saturday 26 May 2001. 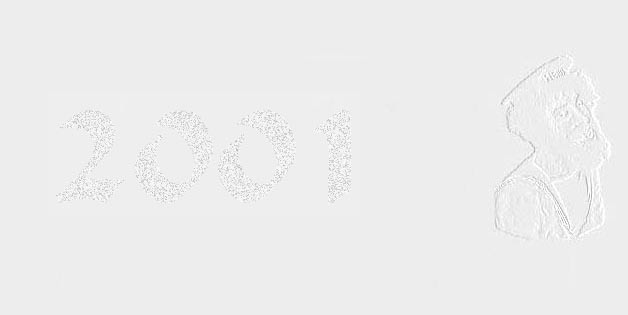 We will start early in the afternoon with a build-up to the Procol Harum concert that evening. And after the concert, we'll continue with a Nachspiel long into the wee small hours of the morning. Don't miss this opportunity to party with fellow Procol Harum fans, listen to wonderful music and ... maybe ... even get a chance to chat with some of the Procol Harum musicians. Doors open – party time! Videos, chat with fellow-fans, and a fully licensed bar is available. 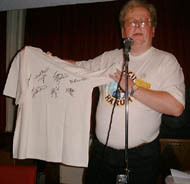 Who will win this t-shirt, signed by tonights main attraction: Procol Harum? The large Quality buffet with hot and cold dishes, meat and seafood, cheese and desserts. This is included in the price of the party ticket, but your drinks are not. Concert tickets are not included in the Palers Party package. See here for concert booking details. The party continues into the wee small hours of morning. The bar is open, and we have a big-screen video-system at our disposal for showing those treasured Procol Harum videos. We have rented the venue, instruments and the large screen video system. To reserve tickets for the Palers' Party and / or accommodation: please send us a mail with your name, address and number of tickets required. You will receive information about how to pay at a (shortly!) later time. Would you like to play in the Palers' Band? Musicians, please see here.